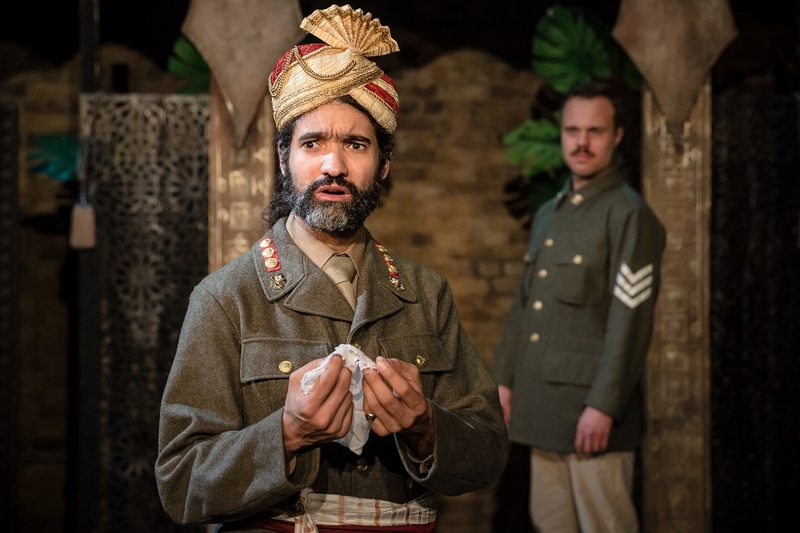 Othello returns to the London stage in a new adaption of the Shakespearean tragedy set in the Punjab region of India during the British occupation. With skeletons from Britain’s colonial years rearing their head in modern political discourse the show comes as a timely reminder of the horrors of the past, regaling the events of the Jallianwala Bagh massacre which marked a turning point for many Indians from moderate cooperation to revolutionary non-cooperation with the British Raj. Swapping the Venetian army for officers of the British order Phil Willmott takes a bold charge at telling the tale through Shakespeare’s renowned Othello, who is cast as an Indian officer recruit in this new stage adaption. Following training in Sandhurst, where he befriends English army chaplain Cassio, Othello is fast-tracked to the rank of General in an Indian outpost, now under the jurisdiction of Desdemona’s father, The Duke. He sends for his old friend, Cassio to be his Lieutenant, but Iago, his sociopathic English orderly, is deeply resentful of this and sets out to plot the destruction of the General, who already feels isolated and conflicted by his role collaborating in and enforcing the British occupancy of his native land. In true Shakespearean style the show tackles numerous enduring themes such as love, jealousy, betrayal, revenge and repentance. For every modern ill there is a suitably matched quip proffered up effortlessly in response. Beware the green-eyed monster “which doth mock the meat it feeds on”, Iago craftily speaks of jealous minds. But “men in rage strike those that wish them best”, Othello will find, much to the dismay of his wife who knows “how foolish are our minds”. 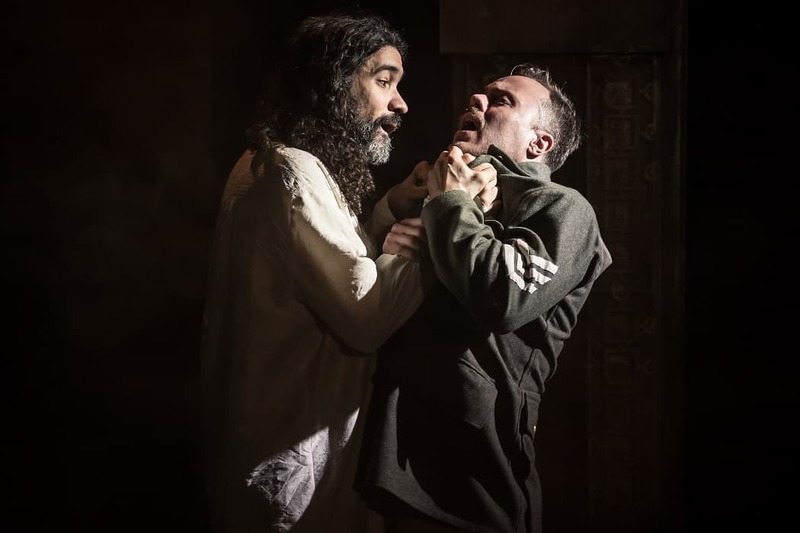 Rikki Lawton delivers an impassioned performance as Iago, embodying the mischievous cunning of his character that is bolstered by an increasingly desolate Matthew Wade as Othello. Carlotta de Gregori, cast as Desdemona, has enchanting stage presence which makes the eventual downfall of the protagonist all the more heartbreaking. 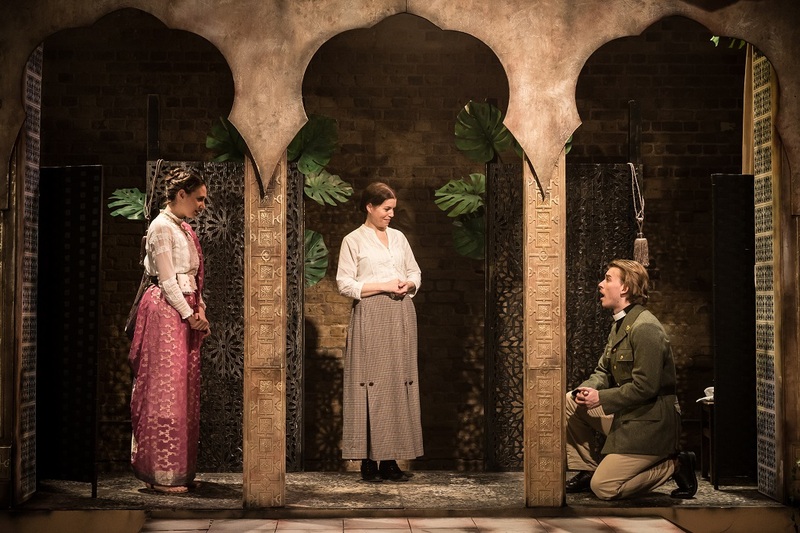 Although the play may be charged with getting lost in translation at times, for the most part the adaption to colonial India makes for a thought-provoking and poignant backdrop. 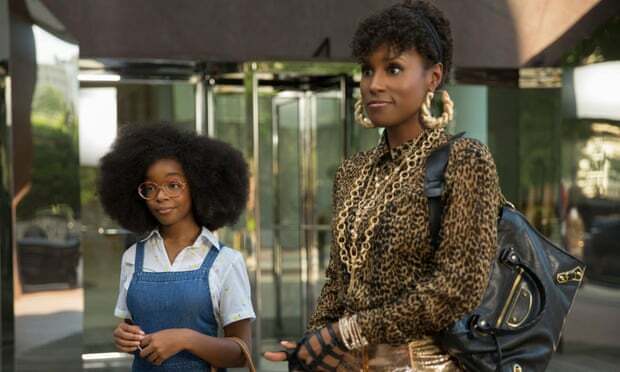 It’s a very real and telling story, and certainly one which you won’t want to miss. Union Theatre, until 6th April.